Baltic Gold, as it is often referred to, has been gathered and worked in the Gdansk area for over 6,000 years and is one of the major contributors to the city’s wealth over the centuries. The sight of locals (both amateur and professional) combing the beaches looking for pieces which have been washed up, particularly after a heavy storm, is still common. There are countless workshops in the area which produce not just wonderful jewellery but all sorts of ornaments and souvenirs from this ancient stone. The heart of the Gdansk amber market is the picturesque Mariacka Street in the shadow of St. Mary’s Basilica in Gdansk which is lined with numerous stores and workshops. Keep an eye for the International Amber Association’s certificate that guarantees the seller has been checked and deemed trustworthy. Another option is to take a tour of an amber workshop where you will see both how the stone is worked to turn it into the beautiful pieces you see mounted in finished jewellery and also learn how to spot a genuine and fake piece of amber. 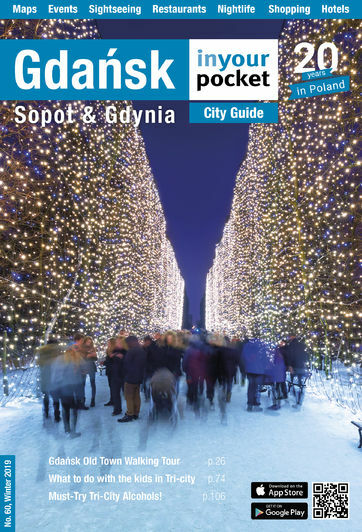 To find out more about amber, its history in the city and what to look out for, take a look at our feature online at gdansk.inyourpocket.com.